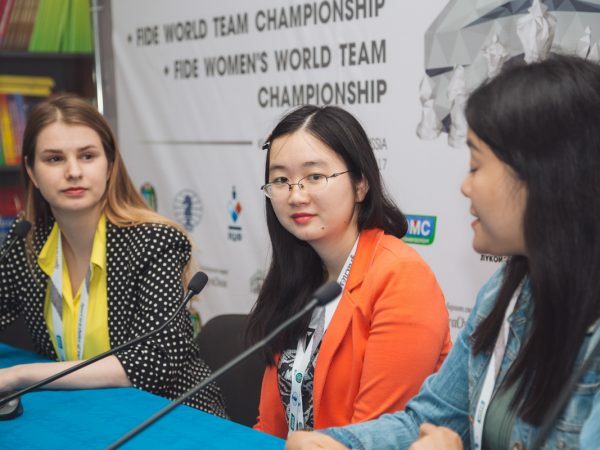 A member of the Russian women’s team gave an interview to the official press-office of the tournaments. 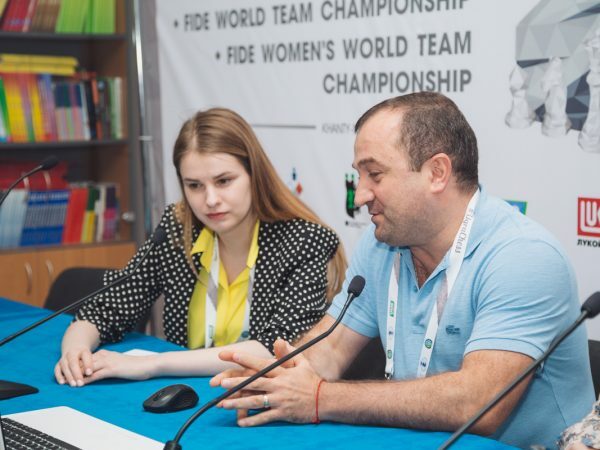 An interview with the leader of the women’s national team of Azerbajan. 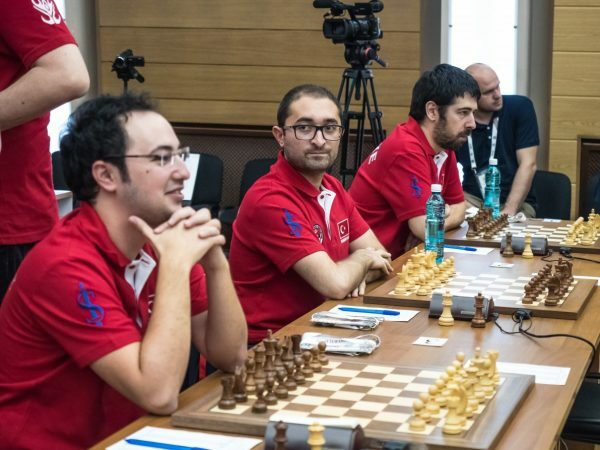 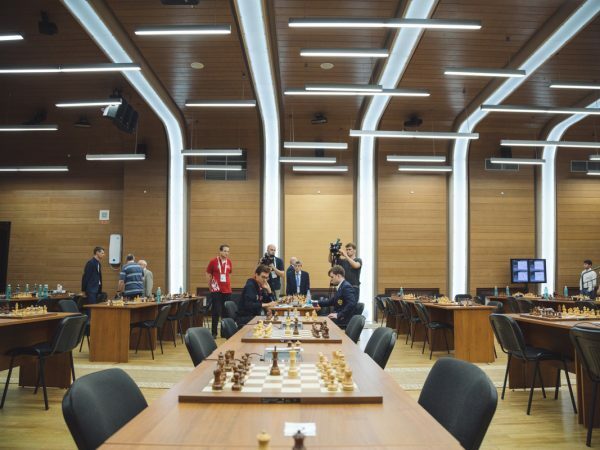 Russian team heads the table of the women’s tournament. 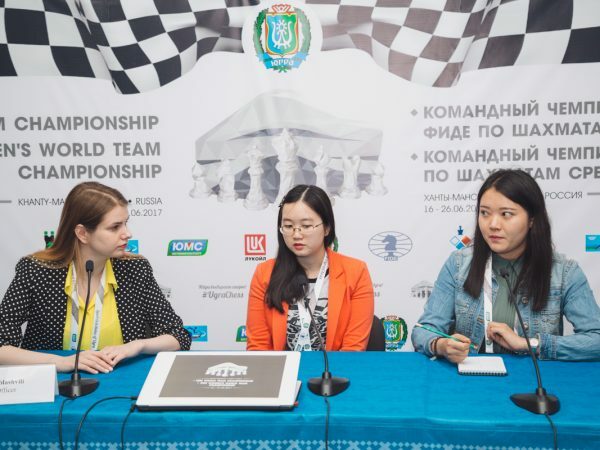 Press-conference with the Women’s World Chess Champion who won against Natalia Zhukova in Round 2. 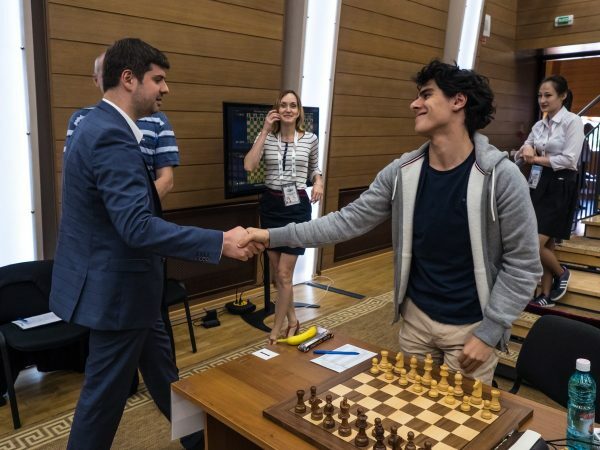 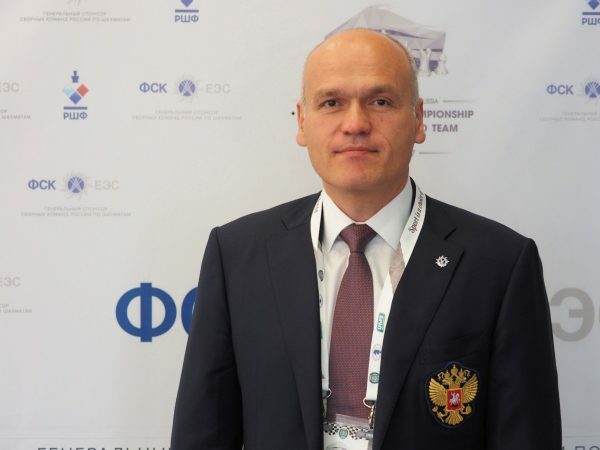 An interview with the captain of the Russian team, President of Russian Chess Federation and FIDE Vice-President Andrey Filatov. 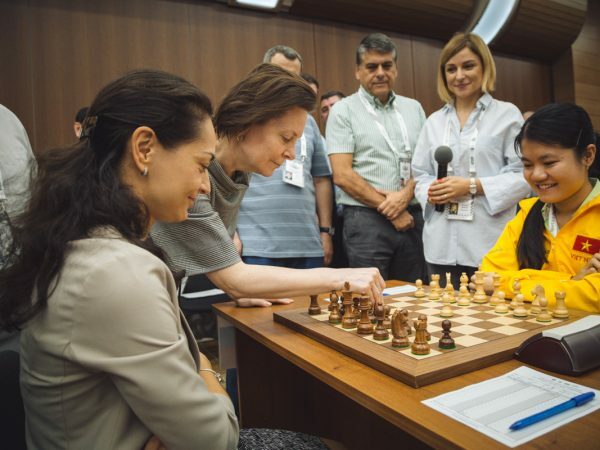 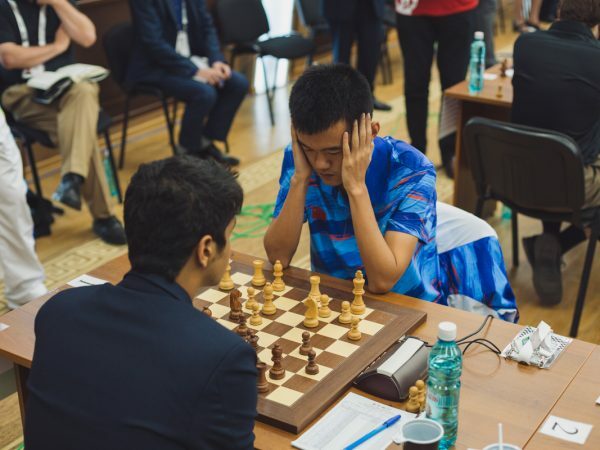 The Governor of Ugra Natalya Komarova made the symbolical first moves on behalf of Russian players in Round 2 of the World Team Championships in Khanty-Mansiysk.